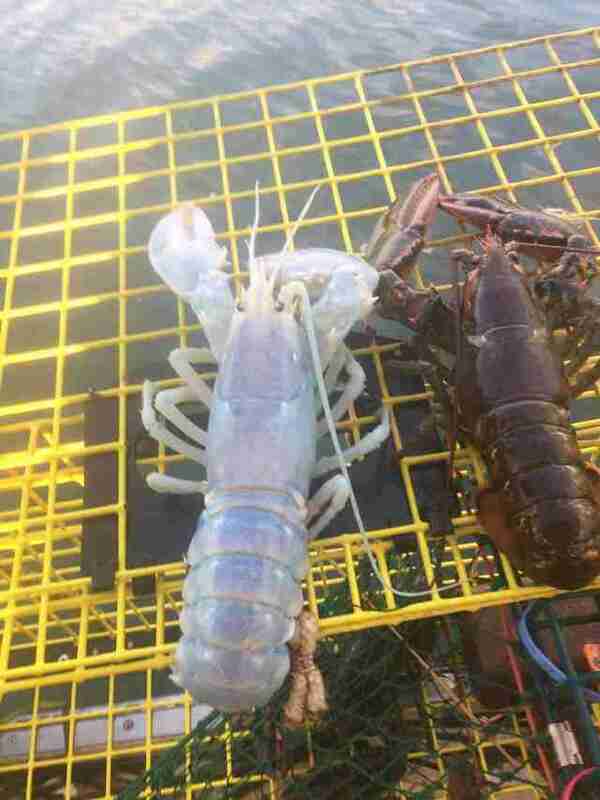 Mythical sea creatures are the stuff social media trends are made of, so it came as no surprise when pictures of an incredibly rare “ghost” lobster quickly went viral over the weekend. Thankfully, the iridescent crustacean was back home in Maine waters by the time she started trending. On August 24, 48-year-old lobsterman Alex Todd pulled something remarkable out of the water. “The days of the haul were both normal, but as soon as the trap came out of the water the bizarre lobster was noticeable,” Todd told The Dodo. All Todd could think as he handled the amazing creature was that the striking crustacean he held in his hand was one in so many millions. Todd, a 10th-generation lobsterman who inherited his grandfather’s commercial lobster license when he was just 6 years old, has been hauling up traps off the coast of Chebeague Island, Maine, all his life. 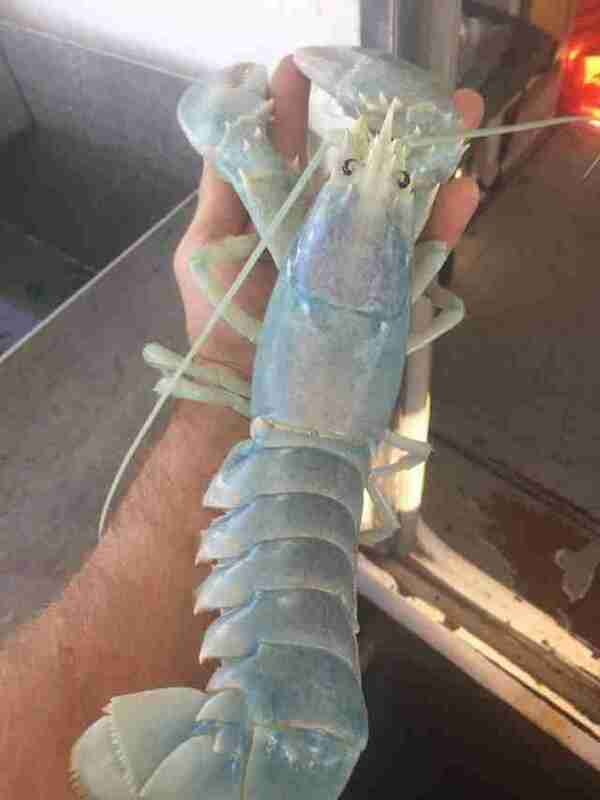 In his many years fishing, he had never seen anything like the pearlescent white — and almost translucent — lobster shimmering with hints of blue. 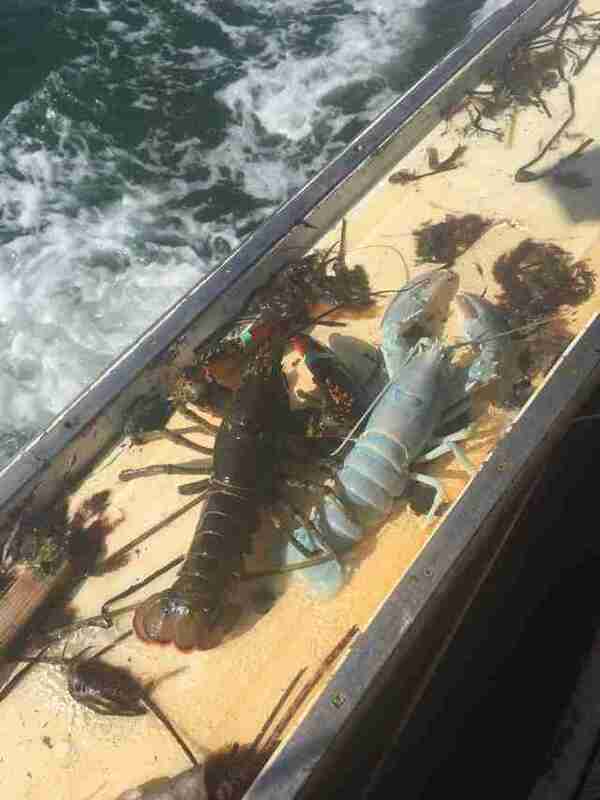 Rare-colored lobsters keep turning up. Is something fishy going on? After snapping a few photos, Todd returned the remarkable lobster back to the waters. “It was a v-notched female — which means it had eggs at one time and thus must be set free to breed,” Todd said. “That's why I had to throw it back.” V-notching, the process of marking the tail flipper of egg-bearing female lobsters, has been a means of protecting the lobster population from harvest in Maine since the early 1900s. 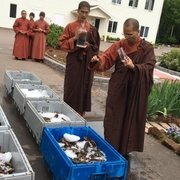 With the number of baby lobsters mysteriously on the decline, it is increasingly important to continue to protect these animals. Todd insists that it wasn’t just the fact that the lobster was a potential mom that made him return her to the sea. “Being as unusual as it is, I wouldn't have sold or cooked it either way,” he said. Now, the beautiful lobster will be free to live another 100 years — completely unaware of her viral fame.